We will meet at the Office at 8:30 am. Then the bus will come to pick us up and go toward Pisaq (50 min approx. ), during the trip from Cusco to Pisaq we will stop at a natural viewpoint where we will be able to make out the whole Sacred Valley. The Sacred Valley was undoubtedly a key area of settlement to the Incas; its combination of agreeable climate and fertile plains bestow an unusual abundance for the high Andes. 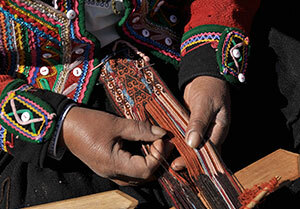 Later on, we will drive towards Pisaq typical market which is certainly the most famous handicrafts markets in all of South America and visit the archeological sight of Pisac 2,950 masl . 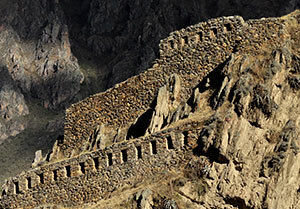 At the ruins you can see a fine art of stone works and impressive agricultural terraces. After Pisaq we will continue our trip toward Urubamba place where we will stop to have lunch .After we will continue driving to the archeological sight of Ollantaytambo 2,700 masl, an important Inca construction built during the Inca’s heydays. This is an extraordinary Inca place where besides the ruins you may also see an amazing rock formation representing the Inca god Wiracocha. 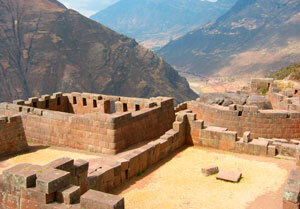 And finally we are going to visit Chinchero 3,762 m.a.s.l. Afterwards, we will return to Cusco arriving approx 6:30pm.